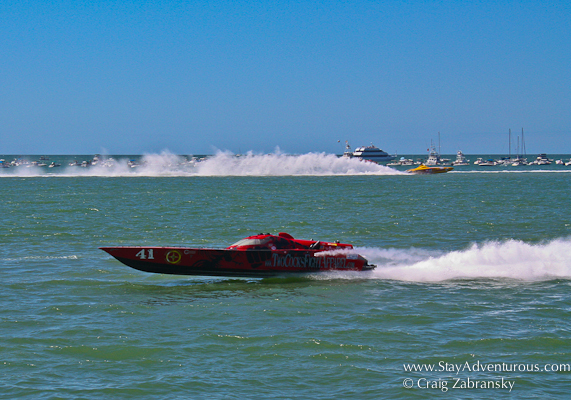 The roar of racing engines can be heard once a year in the charming coastal Florida town of Clearwater. But Florida’s Best Beach (via a USA Today poll) doesn’t play host to any NASCAR race, but rather the roar of the Super Boat National Championships. It’s a super good time, and with boats that can top 180mph… It’s super-fast too. Special thanks for Clearwater, FL and Imagine Travels for the invite to attend. And for those interested, the Super Boat World Championships will be held in Key West in November. Supercalifragilistic photo… and event. Wow! I’m not the speed boat type but this does look fun.